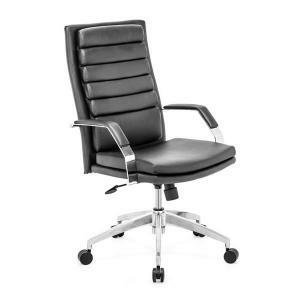 A classic and comfortable modern office chair that is at an affordable price! A nice comfortable look for the office or home! 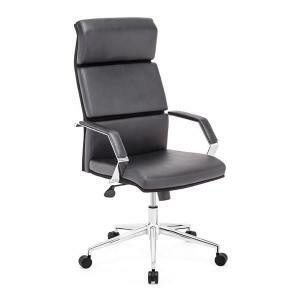 The Director Relax office chair has a regular size back, leatherette wrapped seat and back cushions, contoured, and epoxy coated steel arms with leatherette pads. There is a height and tilt adjustment with a 5 point epoxy coated steel rolling base. W25.5" x D25.5" x H38~42", SeatW18.9", SeatD18.9", SeatH20~24", ArmH 26.8~30.7"